Altus L. Simpson is the author of Traveler's Alaska (1988). 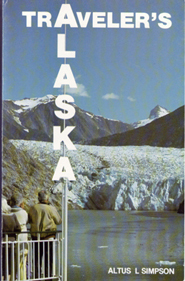 The book is a concise yet informative history of that state, along with an extensive discussion of Alaska's geology and observations about native art. Simpson, who taught geology and oceanography at the University of Puget Sound, served as a lecturer on cruise ships to Alaska. However, his book's thorough approach to the topic go far beyond the information usually found in tourist publications.